Consider The Sauce dined at For Heaven’s Steaks a few years back with Nat Stockley. So enjoyable was the occasion that, more recently, I was somewhat flummoxed by the realisation it had not been recorded – with story and photographs – right here. But the delicious memory has lingered, fanning a determination to get Bennie there some time to eat such wonderfulness for himself. Clayton is long way to go for a steak sandwich. Rather, it seems like a long way to go for a steak sandwich. Truth is, it’s not much further than the treks we regularly undertake all over the west. But in our own stomping ground, with almost all byways and highways agreeably familiar to us, drives to Werribee or Truganina or Deer Park seem no more taxing than a jaunt around the corner to the local shops. Doing battle with the bridge, Kingsway and the Princes Highway is a whole nuther matter. The traffic is as gnarly and stressful as expected, so it’s a relief to pull up at the venue and, once more, meet Nat – and get right down to business. For Heaven’s Steaks is very much your old-school eatery of the Italian kind. 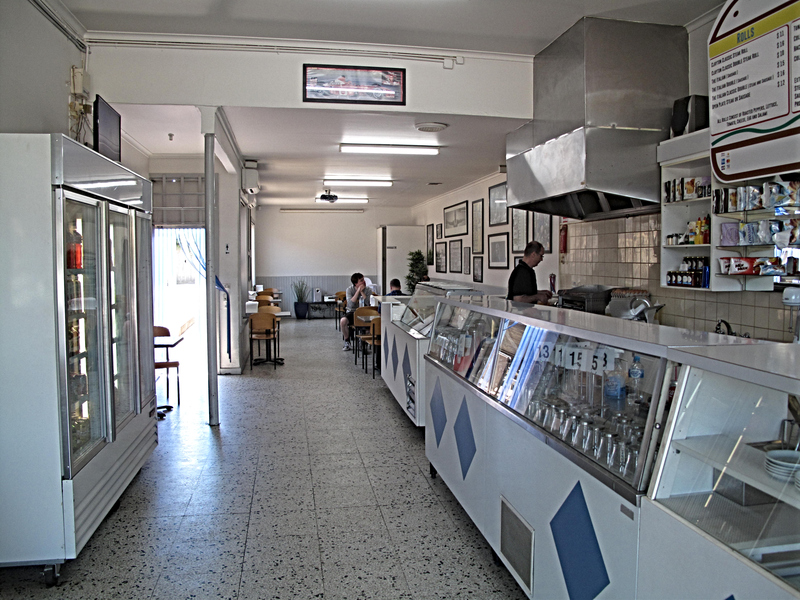 In terms of ambience, it reminds me of the Embassy Taxi cafe on Spencer Street in the city – that is, rather charmless in a charming way. We’re here for the food – and the food at For Heaven’s Steaks is of Everestian standards. 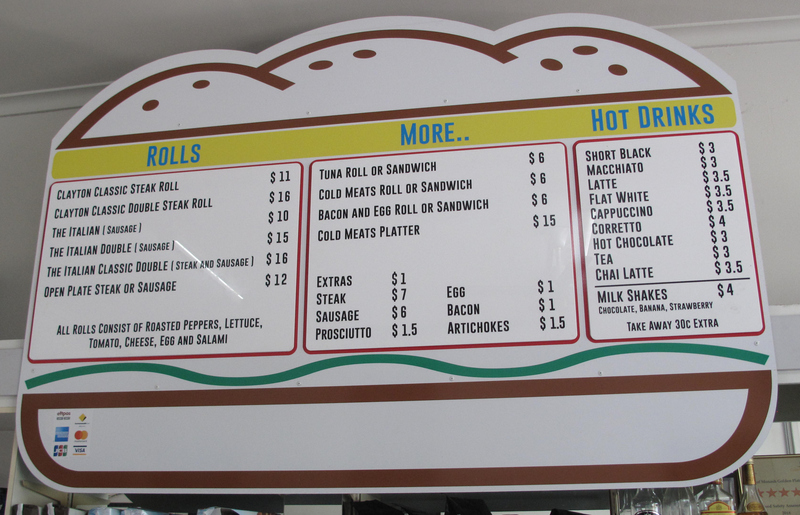 The wall-mounted menu behind the serving counter lists various options, including tuna and cold cuts. 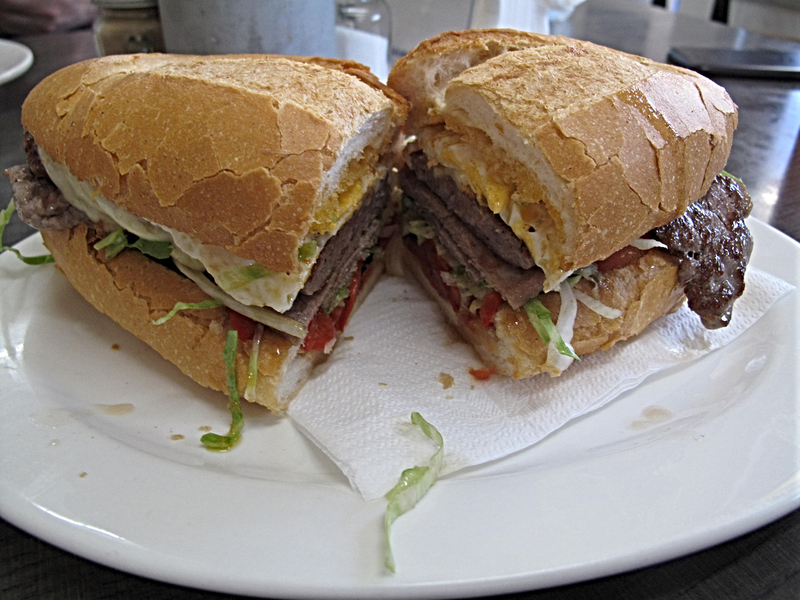 But I’m guessing more than 90 per cent of customers order one of the steak sandwich options – with good reason. As detailed at the bottom of the menu, all come with “roasted peppers, lettuce, tomato, cheese, egg and salami”. Truth be told, the salami – a thin offering – is mostly lost amid such a robust line-up of flavours. As well, we all get chillis as an extra. My dining companions go with the Italian Classic Double ($16, above) with steak and sausage. 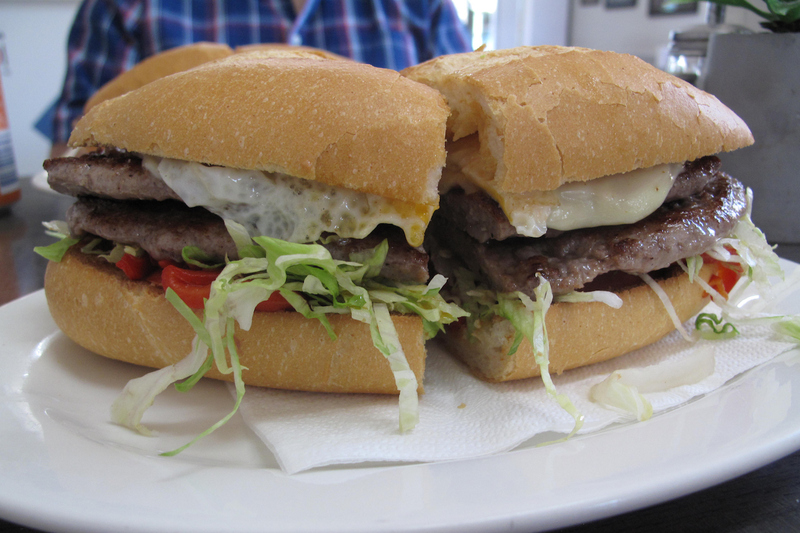 For me, the Italian Double ($15) with sausage (top photo). Nat comments with zeal how great it is to enjoy a steak sandwich in which the steak is of such good quality and so well cooked that it is a breeze to eat without the kind of chewing and tugging that leads to whole deal disintegrating. Much of that is also down to the baguette-style rolls used. If they’re not sourced from a Vietnamese bakery, they certainly seem like they have been. The sausage is presented in sanger-friendly patty form yet boasts texture and seasoning that is profoundly Italian. The fried eggs are perfect and the cheese is stretchy. Worth the drive to Clayton? Nat is not new to flemington. they been to somal kitchen with age paper and also yemeni house of mandi.